Tropika East a 5-storey residential property comprising 105 freehold condominium units within a private landed housing enclave at Foo Kim Lin Road, Singapore District 14. 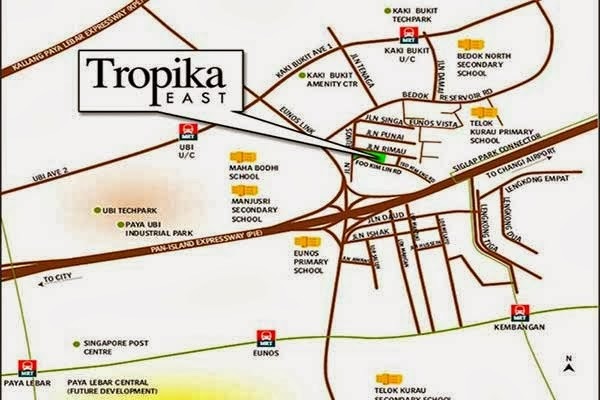 Tropika East is located close to Eunos MRT Station and well connected to Kallang Paya Lebar Expressway (KPE) and Pan Island Expressway (PIE). Tropika East is the greatest answer to an ideal home featuring amenities. Lifestyle activities burst with Katong Shopping Centre, Parkway Parade and Haig Road Market within easy reach. Famous Educational Institution like Bedok North Secondary School, Eunos Primary School, Manjusri Secondary School, Maha Bodhi School, Geylang Methodist Secondary School and St. Stephen's School is within proximity. Tropika East price is attractive priced from 678k. 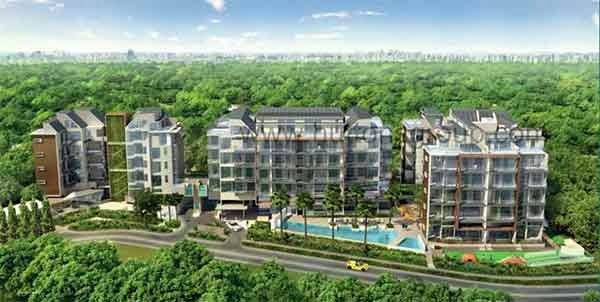 Tropika East is the platform from which to explore the different aspect of living in Singapore.